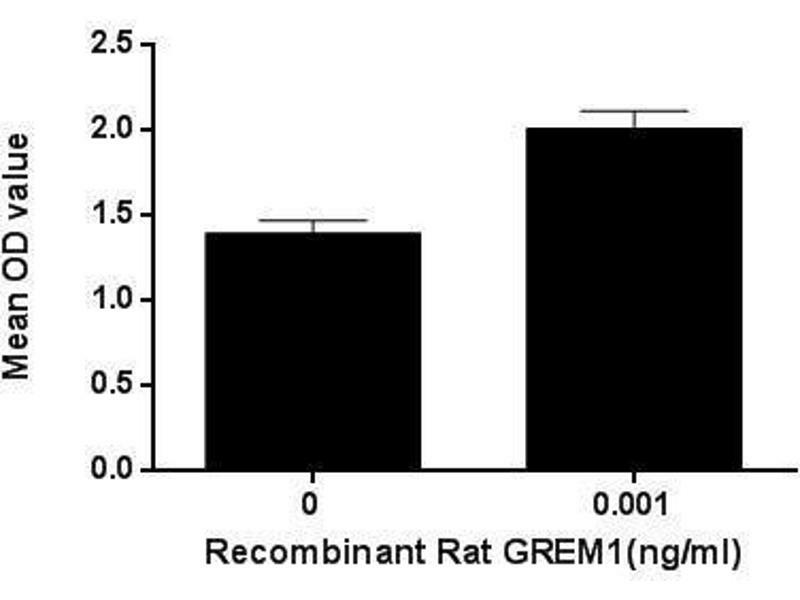 SDS-PAGE analysis of active recombinant Rat GREM1. 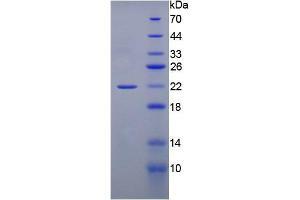 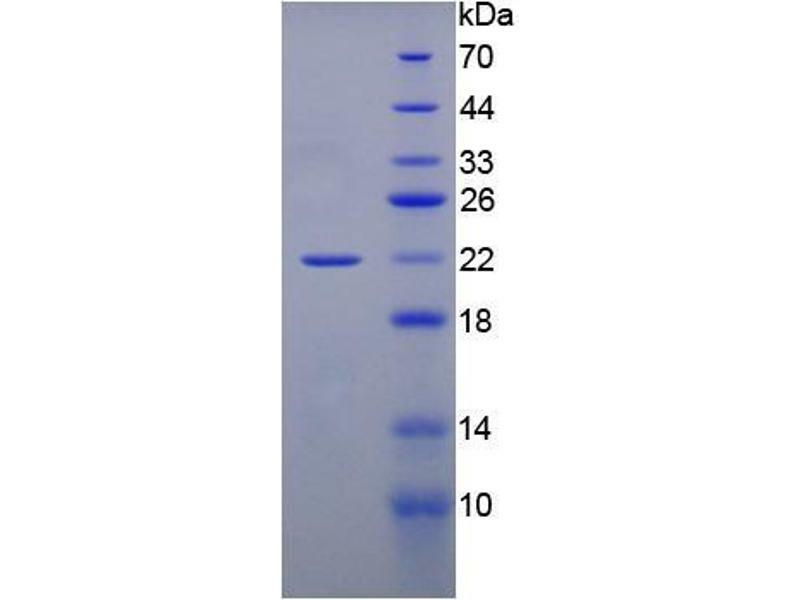 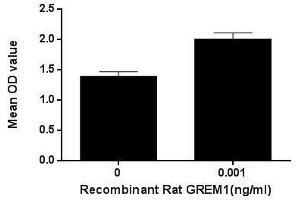 Western blot analysis of recombinant Rat GREM1, using GREM1 antibody (abx100569). 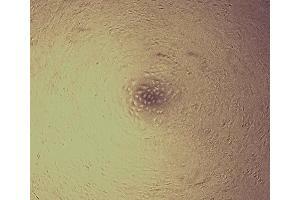 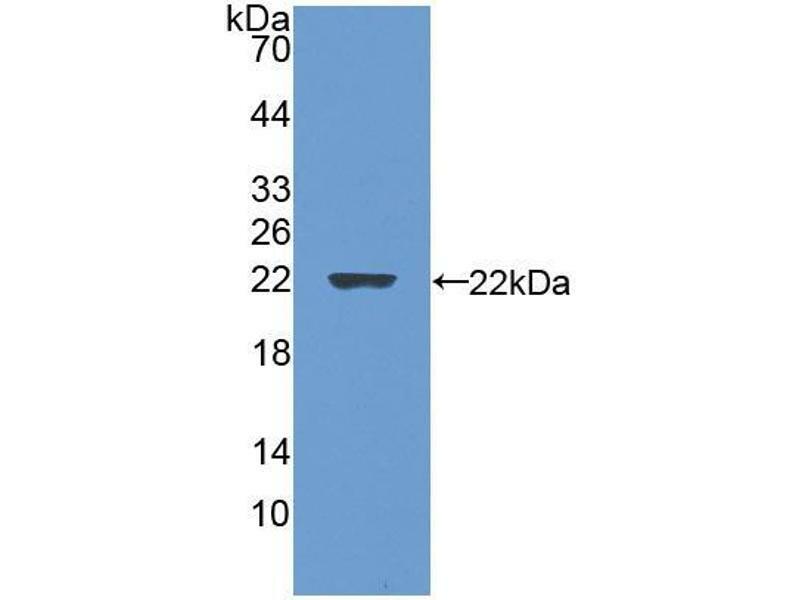 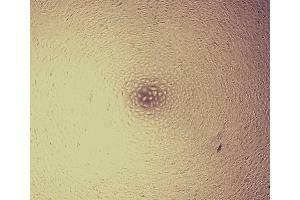 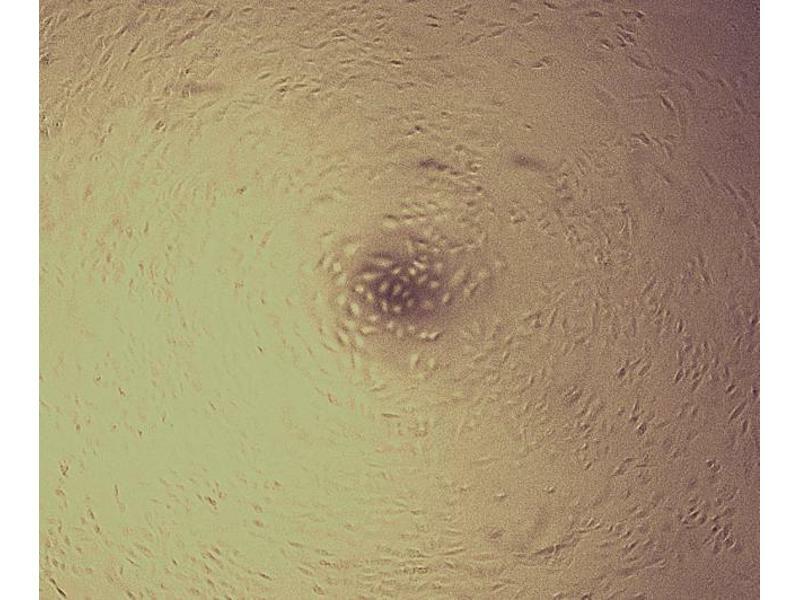 Cell proliferation of A549 cells cultured in DMEM after stimulation with GREM1 (1 ng/ml) for 96h. 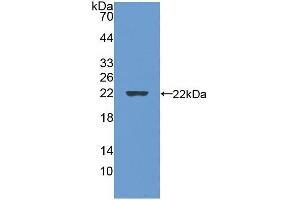 Cell proliferation of unstimulated A549 cells cultured in DMEM for 96 h.
Cell proliferation of A549 cells after stimulation with GREM1. 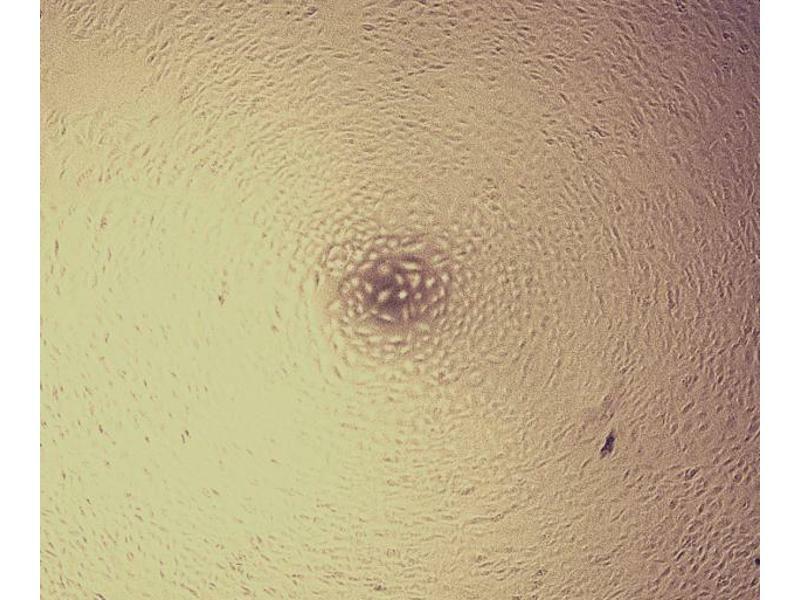 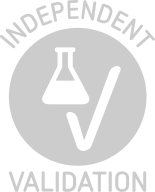 Buffer Prior to lyophilization: 100 mM NaHCO3, 500 mM NaCl,  pH 8.3, containing 1 mM DTT, 0.01 % sarcosyl, 5 % trehalose and Proclin-300.